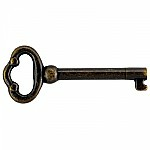 Skeleton keys are truly trial and error. We have brought on many unique bit and barrel combinations to help with the possibility to find a key that will work on your lock. 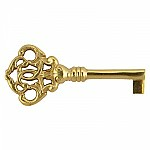 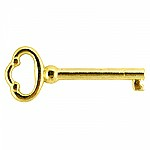 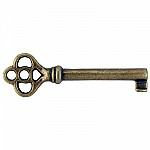 This skeleton key is most commonly used on fancy furniture such as dresser drawers and doors. Hand aged solid brass key. 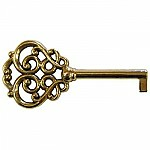 We age the key, then buff the high points for a beautiful antique brass finish. 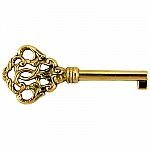 This item is $4.20 when your order exceeds $250 before shipping in qualifying items.